Put pen to paper with this stylish pen stand and memo pad holder. Finished in fine quality silver plate, they are ideal for engraving as corporate gifts or promotional merchandise items. 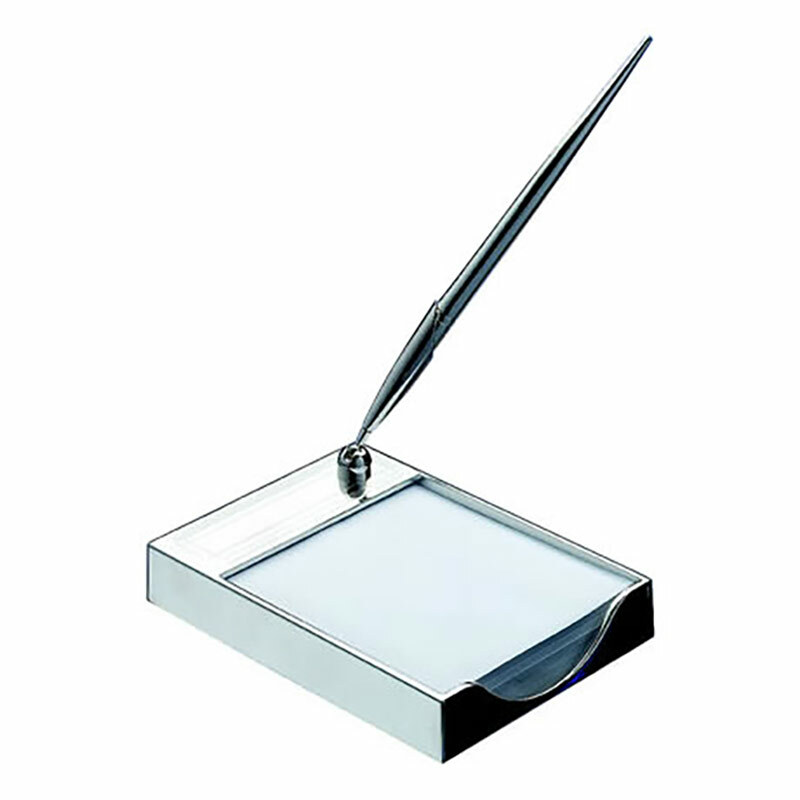 Business Gifts Supplier offers FREE ENGRAVING of text and logos along with low, fixed price UK delivery on all orders, so you can customise your desktop memo pad holder and pen stand with your company name or marketing message at no extra cost.